The aim of entrepreneurship education is to promote entrepreneurial behavior. Governments encourage universities to teach entrepreneurship to promote entrepreneurial behavior to launch new ventures, to create jobs, and to promote economic growth. Entrepreneurial attitude, intention, and behavior are different entities. While one’s intention may be followed by a behavior, one’s behavior more predictably follows one’s attitude. This paper seeks to demonstrate the relationship between entrepreneurial attitude and entrepreneurial intent to better predict one’s entrepreneurial behavior. These findings have potential implications for Entrepreneurship Education, particularly in the design and implementation of androgogy with regards to outcomes-based learning. GOUGH, Vance. Relationships Between Entrepreneurial Attitudes and Intentions in an Experiential Education. 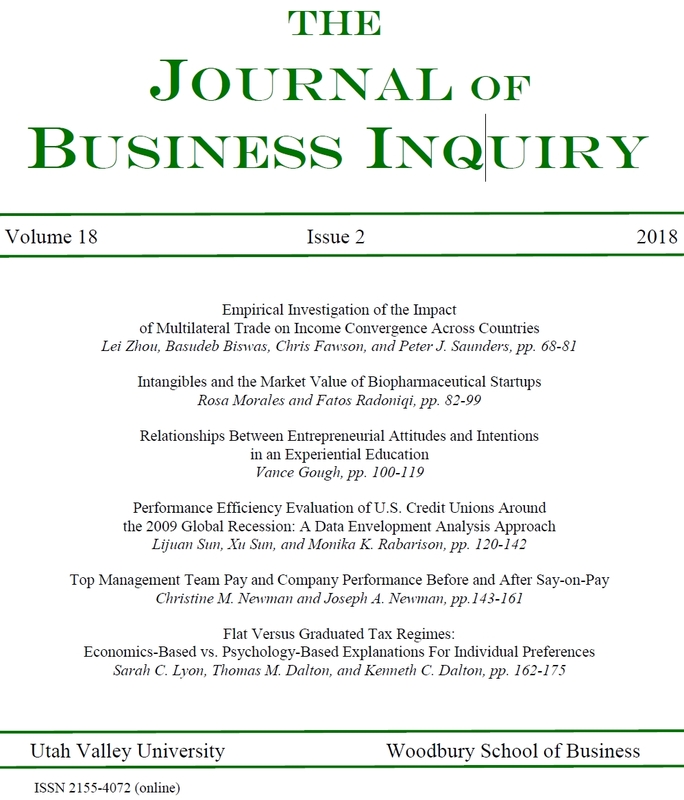 The Journal of Business Inquiry, [S.l. ], v. 18, n. 2, p. 100-119, jan. 2019. ISSN 2155-4072. Available at: <http://journals.uvu.edu/index.php/jbi/article/view/293>. Date accessed: 19 apr. 2019.